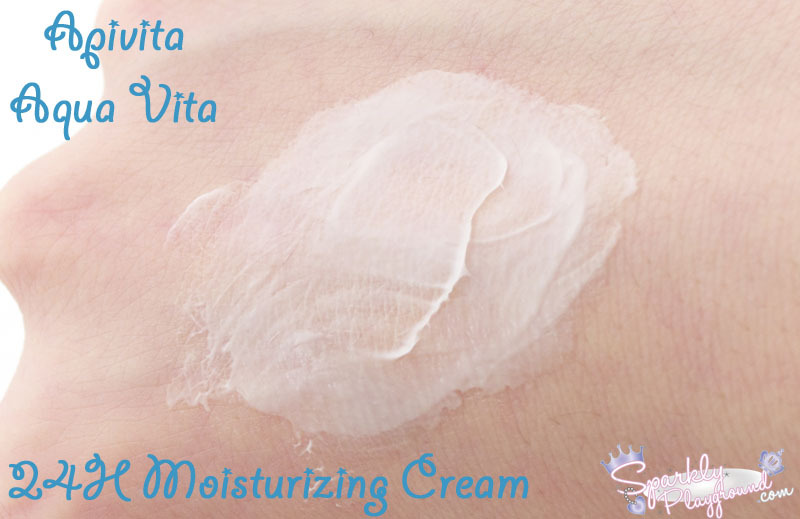 An ultra-hydrating moisturizer that uses natural and organic ingredients. 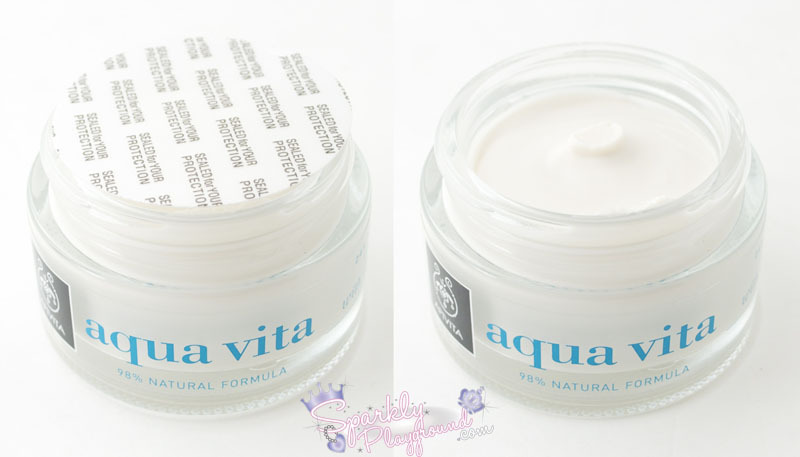 Apivita Aqua Vita 24H Moisturizing Cream for Very Dry Skin soothes even the driest skin with chaste tree, which also tightens and firms. This moisturizer helps skin retain hydration for a full day and offers powerful antioxidant, anti-septic and skin protection properties. Exclusive innovation: APIVITA replaces water in the aqua vita line with green tea infusion to enhance the antioxidant action. Free of: Parabens, Silicones, Propylene Glycol, Mineral Oil and Ethanolomine. Apply cream with a gentle circular motion until absorbed into a clean face and neck during the day and at night. 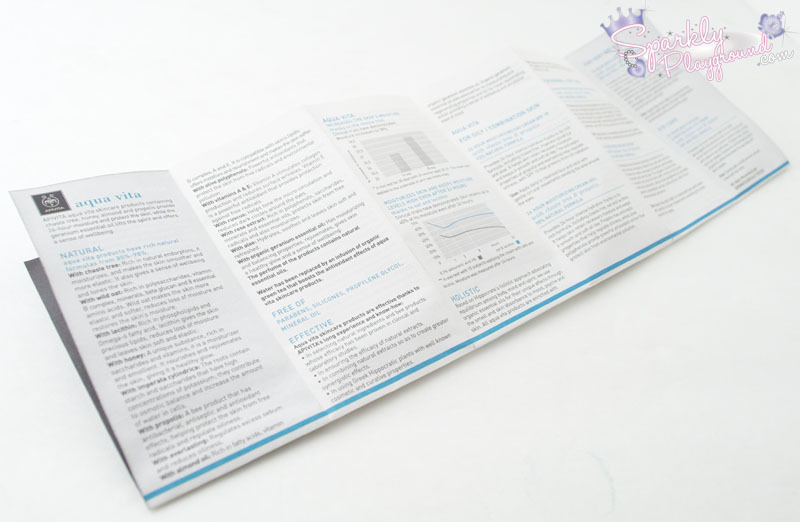 Aqua**, Glycerin, Caprylic/Capric Triglyceride, Cetearyl Alcohol, Butyrospermum Parkii Butter*, Candelilla/Jojoba/Rice Bran Polyglyceryl-3 Esters, Isostearyl Alcohol, Magnesium Aluminum Silicate, Coco-Caprylate/Caprate, Neopentyl Glycol Diheptanoate, Glycol Palmitate, Aqua, Hydrogenated Vegetable Oil, Olea Europaea Fruit Oil*, Prunus Amygdalus Dulcis Oil*, Sodium Stearoyl Lactylate, Olea Europaea Leaf* Extract, Glyceryl Stearate, Panthenol, Xanthan Gum, Boswellia Serrata Gum, Vitex Agnus Castus Extract, Lecithin, Avena Strigosa Seed Extract, Mel* Extract, Alcohol, Pelargonium Graveolens Flower Oil*, Potassium Sorbate, Tocopherol, Phenoxyethanol, Allantoin, Sodium Phytate, Citric Acid, Bisabolol, Camellia Sinensis Leaf*, Sodium Hyaluronate, Olus Oil, Cyclodextrin, Ascorbyl Tetraisopalmitate, Parfum, Benzyl Alcohol, Farnesol, Limonene, Linalool, Citronellol, Eugenol, Geraniol. $39.00 for 50ml on BeautyKat.com. You can purchase the product here. I checked with the Apivita.com and the price is the same, BeautyKat didn't price it for more than it is. Lately, I've been trying a lot of brands I'm not familiar with. Another example is this one - Apivita. I remember seeing it a few times as I passed by high end department stores in Hong Kong but never bothered to look into it thinking that it might be super expensive. 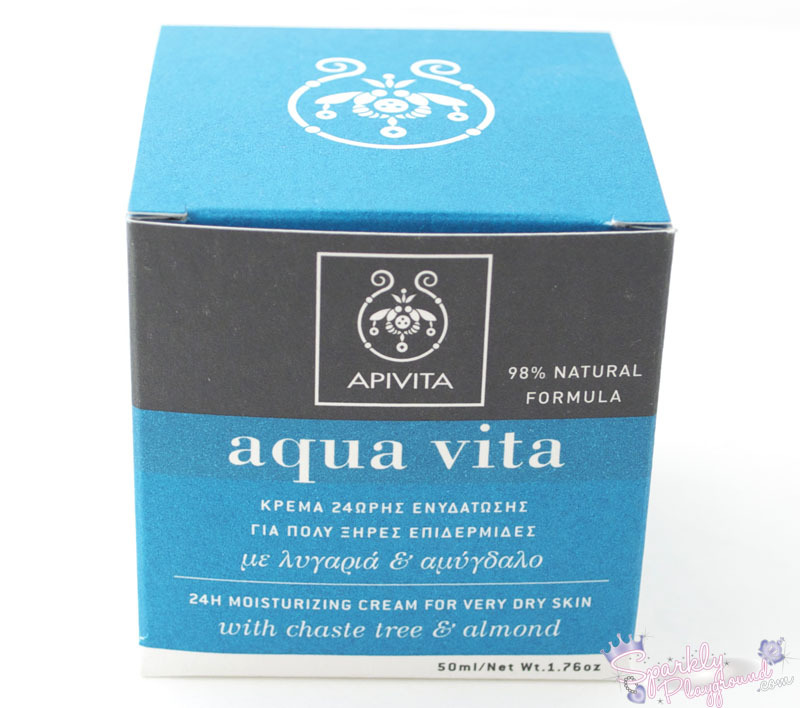 Founded in 1979, APIVITA is Greece's leading company in natural products. They are known for their natural products which are inspired by Classical Greek philosophy. Apivita offers effective natural solutions to a number of skin problems. Although I have seen it in Hong Kong before, I went to check their store locations to see if we can purchase their products here in Toronto. I don't recall seeing any here. Not surprised, they don't have any stores in Canada. They do have retailers in USA though. So if you're intersted in getting your hands on these products, your best bet is online retailers.. like beautykat.com! Alright, let's get on the reviewing part! The paper packaging of the cream reminds me strongly of Korres (which is also a Greek brand, I think it's because of all the Greek writing all over) It does have English translation (thank goodness we know a universal language). The actual cream is contained in a glass jar which I really like because it's more environmentally friendly to recycle. Once I open the lid, it is sealed. I haven't seen this sort of sealing for skincare in a while. Really gives me a sense of "high-end" skin care line that it is. I'm not a fan of the plastic lid covers. Once the seal is lifted, I can smell a light tint of sweetness but not candy. It's not overpowering at all in my opinion. The cream is thick, from the swatch photo you can have an idea of the consistency. It doesn't get absorbed into my skin instantly and it requires a bit of massaging. I think it's because this cream is made for my skin type (very dry), it's very rich. It might not be the same richness in consistency for the normal or oily types. I usually don't need a large amount for my face, it was easy to spread and I do feel moisturized throughout the day. It does feel a bit greasy, but the feeling of oiliness goes away after about 15 minutes or so. This is a continuation of the reviews I'm doing for BeautyKat.com. Thank you, Kat and the people at Apivita for sending me this product to try out. 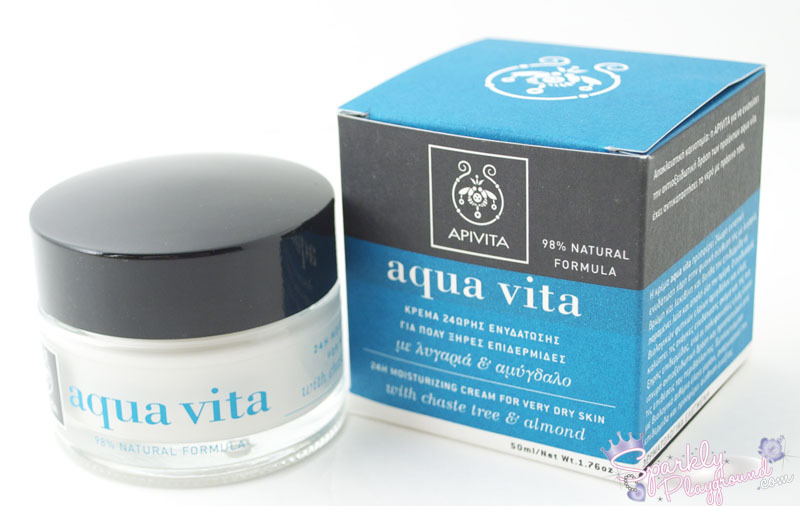 Unlike most online beauty retailers, BeautyKat.com doesn't only carry Japanese and Asian drugstore cosmetics like Dolly Wink, they also carry a huge variety of high end skin care lines such as this one - Apivita and SKII. However, I do know that many of my readers do enjoy Asian drugstore cosmetic brands so I will name a few that they carry for you: Dariya, B&C Laboratory, Ju Ju Cosmetics, Hada Labo, Kiss Me, Sana and soooooo many more!! Product: 5/5 ♥ Meets its claims, may be a bit rich for some, but you can try the normal/combination skin type option. Natural ingredients. Packaging: 5/5 ♥ Love all the greek writing, paper and glass jar. Environmentally Friendly. Price: 4/5 ♥ A bit steep but it is comparable to other high-end brands. But I believe this is at par and if not, less expensive compared to Lancôme and Clarins.